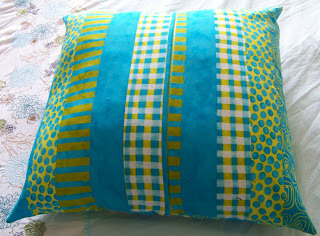 It made from the quilting cotton 'A Stitch in Color' by Moda. 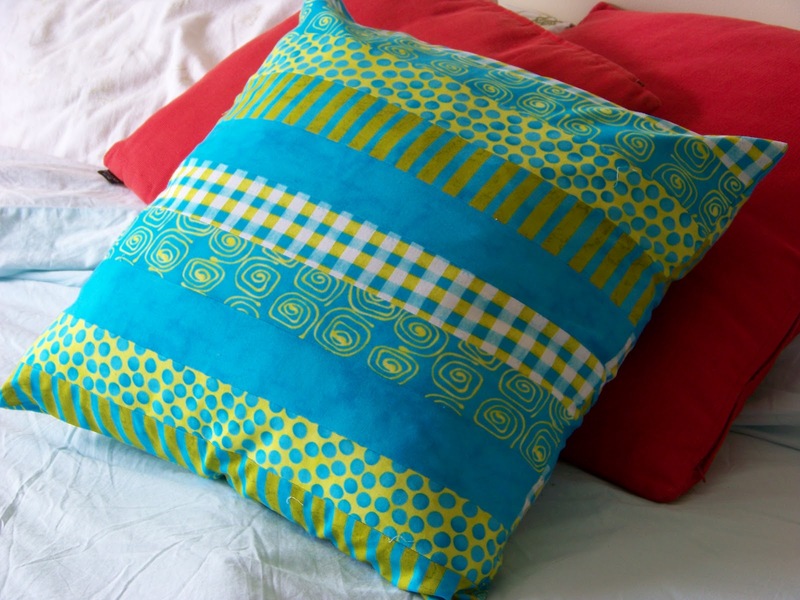 It is very vibrant and the collection has some really nice bold colour choices in it. 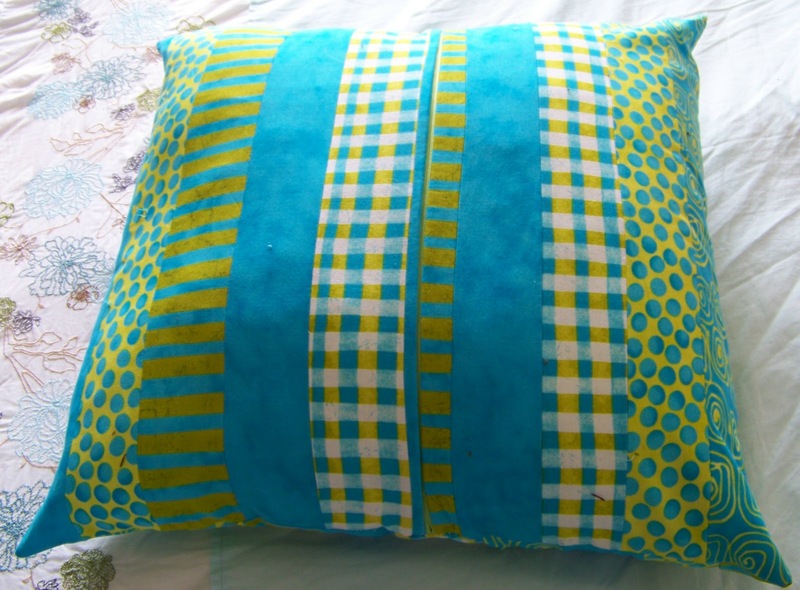 It's designed by Malka Dubrawsky (Blog here ) and I really had to hold myself back and only buy enough for a pillow. A big 'thank you' to Lori of Girls in the Garden who found out the name of the collection for me. It's the first time I attempted anything resembling patchwork and I am not sure I am suited for it. I don't think I am precise enough in the cutting and sewing process :-) The back illustrates it very well.